Note: Devotion taken from last Sunday's sermon on John 14:15-21. Note that this is a conditional statement. It is a “If this…then this…” statement. Usually, such constructions reflect a condition like, If you do this, then this will be the result. Or, if this is a reality in your life, then this will be the outcome. First, Christ expect that his disciples will have an abiding love, affection, passion for him that will over-rule and overwhelm every other passion in their lives. Second, he expects them to be obedient to his commands. There is, therefore, no such thing, from Christ’s perspective, as a disciple who loves him but who is unwilling to keep his commandments. It also striking how in in both parts of this simple command, we see the underlining affirmation of the deity of Christ. By such statements Christ is making himself equal with God. To whom is love rightly directed? To God alone. To whom does Christ say that love is rightly directed? To himself. The implication: Jesus is Lord. In the second part, Christ speaks of his commandments. Who has the authority to give commandments? God alone. But now it is Jesus who gives commandments. The implication: Jesus is Lord. If we love him, then we must keep his commandments. I will not leave you comfortless (John 14:18a). 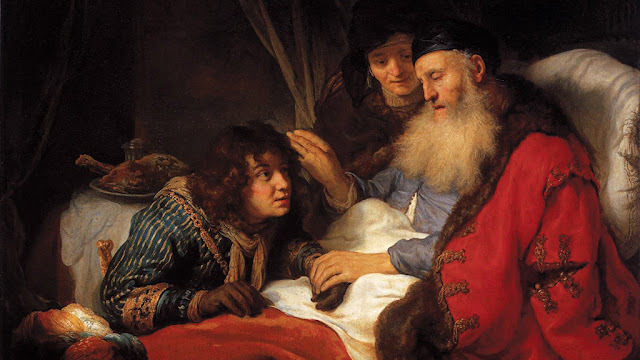 Christ promises his disciples, “I will not leave you comfortless [Greek: orphanoi].” Some modern translations render this as, “I will not leave you as orphans.” We immediately picture a child left without the comfort, protection, and guardianship of his parents. Here the reference is to disciples who would be like orphans without their Master and his provision of the Comforter, the Holy Spirit. This passage shows what men are, and what they can do, when they have been deprived of the protection of the Holy Spirit. 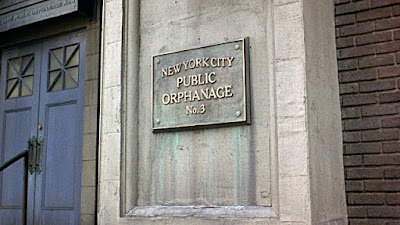 They are orphans, exposed to every kind of fraud and injustice, incapable of governing themselves, and, in short, unable of themselves to do any thing. The only remedy for so great a defect is, if Christ governs us by his Spirit, which he promises that he will do. Note: Devotion adapted from last Sunday's sermon on John 14:8-14. The Gospel of John is unique in numerous ways. Many believe it was the last Gospel written and that John the Apostle assumed that his readers were already familiar with the accounts of the Lord Jesus in the other Gospels of Matthew, Mark, and Luke. He was led by the Holy Spirit, therefore, to record things not recorded elsewhere. 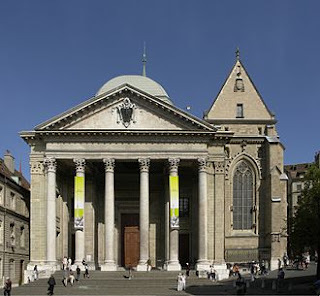 One of the unique things that John records is the conversations which our Lord had with his disciples in the Upper Room before his arrest, trial, and crucifixion. Of late in our sermon series through John, we have been looking at the sequence of four conversations which the Lord Jesus had with his followers in response to their questions and requests: Peter (13:36—14:4); Thomas (14:5-7); Philip (14:8-21); and Judas (not Iscariot) (14:22—16:16). What is striking is the fact that these men had been with Jesus. They had been ear and eye witnesses to his ministry. They had heard his words and seen his signs (miracles). Their questions, however, show that even at this point, they still did not fully understand our Lord. So Thomas asks, “and how can we know the way?” (14:5), and Philip asks, “Lord, shew us the Father, and it sufficeth us [it will be enough for us]” (14:8). It appears to be very absurd that the Apostles should offer so many objections to the Lord; for why did he speak but to inform them on that point about which Philip puts the question? Yet there is not one of their faults that is here described that may not be charged on us as well as them. We profess to be earnest in seeking God; but when he presents himself before our eyes, we are blind. These questions provide yet another example of discipleship. It shows how that followers of Christ can be “sometimes confused,” but also how that Christ continues patiently to teach and to reveal himself more fully to us. He lays down three degrees, as if he had said, that he is the beginning, and the middle, and the end; and hence it follows that we ought to begin with him, to continue in him, and to end in him. So, Calvin says Christ is the beginning, the middle and the end. We begin in Christ by becoming followers of the way. We continue in Christ by abiding in the truth. And, finally, we reach our goal in Christ by receiving eternal life. Note: Devotion taken from last Sunday's sermon on John 14:1-7. In my Father’s house are many mansions; If it were not so, I would have told you. I go to prepare a place for you (John 14:2). Jesus begins; “In my Father’s house are many mansions [monai pollai].” The word for “mansion” (Greek: mone) means a dwelling place, a room, or an abode. 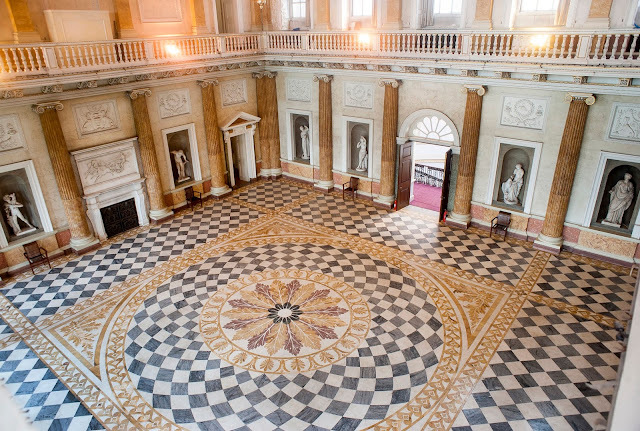 For us, the contemporary English word “mansion” has the sense of an opulent dwelling. The point here, however, is not to say that in the Father’s house there are many opulent dwellings (thus stressing the greatness of the reward awaiting the saints—though it will be greater than we can imagine) but to stress the expansiveness of God’s grace toward many, many, many people. This is an anticipation of the Great Commission (Matt 28:19-20). There will not be just Jews, but Jews and Gentiles in the Father’s house. There will be men and women, those who were slaves and free (Gal 3:28). The Father’s love is not to for a few only, but for an exceeding great company. “A great multitude, which no man can number,” will be found in Heaven. A man can reckon up to very high figures; set to work your Newtons, your mightiest calculators, and they can count great numbers, but God and God alone can tell the multitude of His redeemed. I believe there will be more in Heaven than in hell. If anyone asks me why I think so, I answer, because Christ, in everything, is to “have the preeminence”, and I cannot conceive how he would have the preeminence if there are to be more in the dominions of Satan than in Paradise (Vol. 1, p. 171). To say that the Father’s house has many mansions, however, is not, to affirm what is known as “universalism,” the idea that all will be saved whatever their response to Christ. John 3:36 contradicts that when it says that those who believe in him will have “everlasting life,” while those who do not believe will have “the wrath of God” abiding upon them. Still, the Father’s house has many mansions or rooms. It is greater than we could ever ask or imagine. And this gives us hope as we make our pilgrimage through this life. Still working my way through Craig A. Carter’s Interpreting Scripture with the Great Tradition (Baker Academic, 2018) and getting closer to the end. One of the most refreshing aspects of this book is Carter’s unrelenting critique of the sterility of the Enlightenment-influenced, modern historical-critical method of Biblical studies. Consider the following thought experiment. If astronomy ceased to use telescopes and never looked at the stars, focused all its attention on mentions of the stars in literary sources and the history of human thought about the stars, all the while entertaining an ongoing discussion of the sense in which stars could be legitimately be said to exist, with the most radical astronomers expressing doubts about the very existence of the stars in the traditional sense, and if astronomers debated endlessly about what earthly realities the idea of “star” might be said to refer to and whether and to what extent traditional ideas about stars reflected class, gender, or racial bias—would we be justified in viewing the endeavor as “astronomy”? 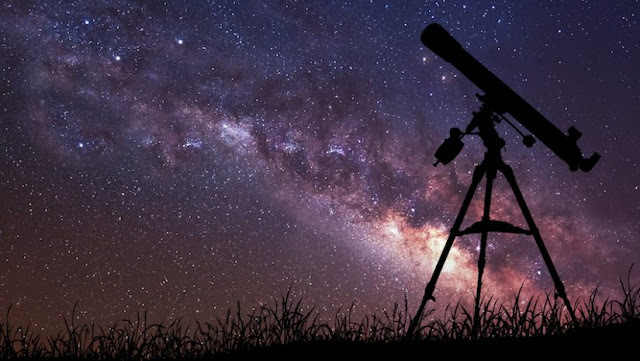 There might still be university departments of astronomy, learned societies at which papers were presented, journals of astronomy, conferences on topics of interest to astronomers, and doctoral programs in astronomy, but would it be astronomy? Or would it be something else operating under the name “astronomy”? And if we were persuaded to call it a science, would it really be the science we know today as “astronomy”? (p. 217). 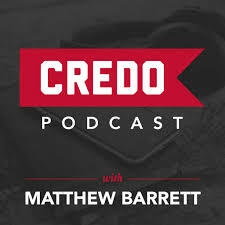 I've been "binge" listening of late to the Credo Podcast hosted by Dr. Matthew Barrett, associate professor of theology at Midwestern Baptist Theological Seminary in Kansas City, and editor of Credo Magazine. You can listen here or find it on itunes. 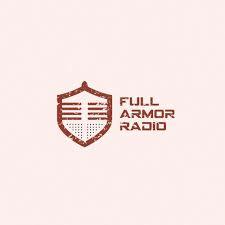 Episodes I've enjoyed include interviews with James Dolezal on Divine Simplicity, Michael Allen on Thomas Aquinas: Friend or Foe?, David Bentley Hart on Atheism, and Scott Swain on confessional interpretation of Scripture. Note: Devotion taken from last Sunday's sermon on John 13:31-38. A new commandment I give unto you, That ye love one another: as I have loved you, that ye also love one another (John 13:34). Christ gave the new commandment to his original disciples, but it did not apply only to them. It applies to all disciples in all ages. So, Paul writes to believers in Rome: “Owe no man any thing, but to love one another” (Rom 13:8a). In 2 John the apostle John writes to a church, which he calls “the elect lady” (2 John 1:1), with this admonition: “And now I beseech thee, lady, not as though I wrote a new commandment unto thee, but that which had from the beginning, that we love one another” (2 John 1:5). Thus, both Paul and John apply Christ’s new command not just to the original disciples but to all disciples, including ordinary believers in this age. Jesus will later say, “If ye love me, keep my commandments” (John 14:15). A sign that we are truly Christ’s disciples is the fact that we desire to keep his commandments, including the new commandment. Christ has given us a commandment (not a suggestion) to love one another in the same way that Christ himself has loved us. How did Christ show his love for the disciples? He laid down his life for them. How do we obey this commandment today? I do not think one can really do this, unless he is a committed member of a local church, where he will have many opportunities for obedience to this command. It is in the church that we get to know our fellow disciples and love them in more than a hypothetical manner. Sometimes that love is tested. The original disciples knew each well, and sometimes they had disagreements and conflicts with one another. They argued, for example, as to which of them was the greatest (cf. Mark 9:33-34). The believers in the churches to whom John wrote also knew each other well, and they also engaged at times in conflicts that rent them asunder. In 3 John the apostle denounces an insolent man named Diotrephes who even had the audacity to expel faithful brethren from the church (see 3 John 1:9-10)! Our obedience to this commandment is usually not tested when things are going smoothly but when we hit choppy waters. In Galatians 5 Paul urges the saints: “by love serve one another” (v. 13), lest “ye bite and devour one another” (v. 15). Dear brethren, let us show our love for Christ by keeping his commandments, including his new commandment to love one another. In preparing to give the message at the 2018 Keach Conference, I re-read Calvin’s discussion of the doctrine of justification by faith in book 3 chapter 11 of the Institutes. And this is indeed the truth, for in order that we may appear before God’s face unto salvation we must smell sweetly with his odor, and our vices must be covered and buried by his perfection (Institutes, 3.11.23). In reading this, I was struck not only Calvin’s drawing upon Ambrose (see Anthony N. S. Lane’s John Calvin: Student of the Church Fathers [Baker, 1999]), but by his pre-critical reading of Genesis 27 and the application of it to justification. Isaac is like God the Father; Jacob is like the elect sinner; Esau’s garments are like the imputed righteousness of Christ. This sensus plenior reading of Genesis 27 is not one that modern scholars using the historical-critical method would approve, but it is a “Great Tradition” reading of the historic church (see Craig A. Carter, Interpreting Scripture in the Great Tradition: Recovering the Genius of Premodern Exegesis [Baker Academic, 2018]) that remains spiritually satisfying. Audio from the 2018 Keach Conference on "Of Justification" (9.29.18) can now be found on sermonaudio.com. 1. Message one: Justification: The Article on Which the Church Stands or Falls (Confession 11:1-2). Speaker: Jeff Riddle, Christ RBC, Louisa. 2. Message two: Justification: The Application of Christ to Believers (Confession 11:3-4). Speaker: Steve Clevenger, Covenant RBC, Warrenton. 3. Message three: Justification: Falling Under Fatherly Displeasure (Confession 11:5). Speaker: Van Loomis, Redeeming Grace BC, Matthews. 4. Message four: Justification: Old Testament Believers (Confession 11:6). Speaker: J. Ryan Davidson, Grace Baptist Chapel, Hampton. 5. Question and Answer Session (Riddle, Clevenger, Davidson).